Mindset is everything. Whatever you think, you become. And this is true. There is no doubt our thinking shapes our life. But the problem is that too many people are living in mediocrity because of their unhelpful mindsets. They are getting stuck and are going nowhere due to their negative thinking. In this article, I shared the 10 unhelpful mindsets that you must let go in order to be successful in life. When it comes to living a successful life, achieving our goals and pursuing our dreams and what we want in life, most people always ask about the things that should learn. They always look at ways to improve themselves, to add more, and to absorb more. While there is nothing wrong with that, but sometimes, letting go or giving up on something can be as helpful as learning something new. People say that our minds are like a sponge. When it comes to new experience, if you want to be able to express is well, you must first be able to absorb it well. The problem is that if you are full, you won’t be able to absorb more. And you have to do the opposite. You have to let go. You have to give up on old and outdated behaviors or thinking in order to have space for the new and better ones. You have to squeeze the sponge and empty it before you can absorb the new knowledge again. So here are the 10 unhelpful mindsets you must let go if you want to go further. 1. Let go of the thinking that success will come instantly. We all have the thought that success comes almost instantly. This is because when we look at successful people, we only see them being successful. We often didn’t see or hear about the struggles and failures that they have gone through. Plus, we are wired in such a way that our brains prefer instant gratification. When we build a blog, we want to see thousands of visits every day within a month. After we published a post on our blog, we hope it to go viral and shared by millions of people. The truth is that this is not always the case. Success takes time and you need to have patience to build it. Imagine building a house. You need to lay the bricks one by one. The process can be daunting and boring, but it is necessary to have walls and to build the structure of the house. Unfortunately, most people want to have the house, right away. This is why those making money online courses that promise you can get rich instantly sell like hot cakes. We want to get rich right now, not 5 years later. I started this blog in 2015. After pouring in years of effort and growing the blog, it finally has over a thousand visits a day. I did not achieve this instantly, not weeks, and not even months. The same goes for everything that you want to achieve in life. Creating the success you want requires time and effort. And you need to have the patience for it. 2. Let go of the thinking that you must take big and bold actions in order to produce extraordinary results. A lot of people have the misconception and think that in order to be successful, they need to do big things. They need to take big actions and they need to make bold decisions. My friend, this may not always be the case. Take a look at all the successful people out there and you will understand. You have to understand that success takes time and it does not result from one single decision or action. Yes, you can make a right decision to start a blog at the right timing and experience exponential growth in that niche, but what happens after that? Many years ago, when blogs are still new, those who entered the market at the right time are able to grow their blogs more easily. However, if you don’t improve and if you don’t consistently share great and valuable content, your blog will die even if you grow it at the right timing. Bill Gates made a big and bold decision to deal with IBM so that every IBM computer runs on Microsoft, but if he didn’t have what it takes, he still won’t make it. Taking big and bold decision can only help you so much. If you don’t have what it takes, you will still fall back to the ground. So how do successful people do it? Well, the master the ordinary. How do you think extraordinary people like Kobe Bryant, Tiger Woods, Warren Buffett, Michael Jordan, Lionel Messi, Ernest Hemmingway, and many others have in common? They train, practice, and become the master of ordinary. Michael Phelps didn’t make a big bold decision to win the Olympics gold medals, he practiced swimming (the ordinary) every day. Kobe Bryant is considered one of the best basketball players because he put in the effort and time to master the ordinary. The same goes if you want to build a successful blog. You have to master the ordinary. Write and publish great content. Learn how to promote your blog better. And eventually, your blog will become an authority that everyone visits. There is no secret to success, my friend. So don’t wait for it. And stop thinking that you need an opportunity or to take a big and bold action to be successful. Success is in mastering what you do daily. 3. Stop thinking that your past is your future. Your past does not equal your future. Many people think and act based on their past. If they failed at mathematics in school, they will have the thought that they are not good with calculations. Thus, they may avoid doing things that require much of calculus. And if you scored badly in your exams, does that make you think that you can’t be successful? Of course not. So break free from your past and let go of whatever thinking and beliefs that are holding you back. If you fail at something, it doesn’t mean that you are going to fail again in the future. Always remember, your past does not equal your future. You can fall down once, but that doesn’t mean you are going to fall down again in your next attempt. Like how a baby learns to walk. She can fall down many times, but she continues to learn, to improve her posture, and balances her body. Eventually, she walks. So learn from the baby, my friend. And stop thinking that your past is your future. You can live the life you want, regardless of your past. 4. Stop thinking that you don’t have what it takes. This is a big one. This is one of the main reasons people fail to accomplish their goals and to reach their dreams. They always think that they don’t have what it takes. They think that they are not good enough. They think that they don’t have the skills, the knowledge, the talent, the time, the luck, etc. Just understand that the moment you think that you don’t have what it takes, someone out there who is doing it and he is no better than you. You do have what it takes to be successful. Talents, skills, and knowledge can be acquired. Michael Jordan was rejected by his high school basketball team because he wasn’t good enough. But he didn’t give up. He chose to train even harder and prove them all wrong. And he became a superstar in the basketball industry. In 1919, Disney was fired from one of his first animation jobs at the Kansas City Star newspaper because his editor felt he “lacked imagination and had no good ideas,” according to The Wisdom of Oz. You can read this article from Inc.com to find out more about successful people who have been rejected but decided not to give up, and chose to bounce back instead. Therefore, stop telling yourself that you are not good enough. If you think that you are inferior, it is because of your own thinking. You are as good as you think you are. Thus, stop thinking that you don’t have what it takes. Even if you really don’t have the skills or knowledge, that doesn’t mean that you can’t acquire them. Do not let this becomes your excuses. Stop looking down on yourself. The biggest failure in life is not that you try something and fail. The biggest failure in life is that you doubt yourself and look down on yourself. 5. Let go of the thinking that you have to do everything by yourself. Many people have this mindset and think that they need to do everything by themselves. I suffer this unhelpful mindset as well. As a blogger and an internet marketer, I try to lower my cost and try to do everything by myself. However, I discover that this is not going to work out well if I want to grow my online business or my blog. We need the help and support from others to grow bigger. My friend, no man is an island. If you are a solopreneur and you are trying to save cost by doing everything yourself, things may not work out well at the end. The key to peak performance is to focus on what you do best and outsource your weakness. For instance, if you are good at content generation, you should focus on generating more content. And if you are weak with video editing or website design, you should just outsource these tasks. You don’t want to spend hours learning how to edit a video and still end up creating a so-so video, right? Instead, if you are good at video presentation, just focus on that and do your best to deliver the best video presentation to your audience. As for video editing, you can outsource the job. We’re living in the digital world. We can outsource much of the work to freelancers around the world. Use websites like UpWork and Fiverr. Thus, stop thinking that you can do better than others and that you have to do everything yourself. It is not going to work. 6. Stop thinking that things will automatically get better. If you are not changing, stop expecting things to change or to get better. For example, if your business is not performing well and you are financially in trouble, stop expecting that things are going to automatically get better and that sales are going to come. Unless you do something to change the situation, nothing else is going to change. If you are way behind your goals and you are not doing anything else to catch up, guess what, in the end, you will fail to reach your goals. Don’t expect things to get better, put in the effort and make things better. Highly successful people don’t sit and wait and expect things to become better. They act. They do something to turn the situation around. When Michael Jordan was rejected by his high school team, he did not wait and pray that things would get better and somehow miracle would occur and he would be accepted into the team. No, he did not wait and do nothing. He trained even harder to prove that he is capable. The same goes for you and your life. If you are not living the life that you desire right now, you should do something about it. Don’t wait for time to pass or choose to believe that things are going to get better. No, it won’t, except if you choose to do something about it. If you are not happy with where you are right now in your life, do something to change. If you are not making progress to achieve your goals, do something about it. Don’t just sit and wait for things to get better, because it won’t. 7. Give up comparing yourself with others. This is another unhelpful thinking that we all should get rid of. When we try to compare ourselves with others, we are indirectly telling ourselves that others are performing much better than us and we wanted their level of success. Some people may think that this is a healthy competition, but I seriously don’t think so. First, when you put in too much focus and attention into the competition, it can make you forget your real purpose of being in the business or in the game. You may lose focus on your most important asset, which is your customer. Focusing too much on beating or putting your competitor out of the game will cause you to lose attention on serving your clients and customers. Comparison is one of the main reasons why people think that the grass is greener on the other side. After you have put in weeks into growing your blog, but if you see no significant results, and if you see someone who started an e-commerce business later than you start your blog but is doing much better than you, highly likely, you will choose to give up on your blog. Whether you will choose to start an e-commerce business is another story. But the truth is that you compare yourself with others. And when you compare, you may feel that you are achieving less than others. This makes you feel inferior. As a result, you feel like a failure and wanted to quit and do something else. Feeling of inferiority is not a helpful feeling. This is why you should stop comparing yourself with others. Instead, choose to focus on your own work. Pay full attention to your goals and stick to your plan. Remember, the grass is greener where you are willing to nurture and water it. 8. Let go of the thinking that you need to fit in. It is alright to be extraordinary, to be unique and to be different than others. You don’t have to fit in all the time. In fact, you should not be like others. Because if you do, you will become like others, just average. I believe that if you are reading this right now, it means that you have a bigger and better plan for yourself, right? You want to live an extraordinary life where you get to enjoy everything, wealth, health, joy, etc. If you are trying to fit in, trying to be like everybody else, you will never be successful. Most people choose to work from 9 to 5, but to be extraordinary, you cannot have the mindset that you need to work from 9 to 5 as well. You need to do more than that. And sometimes, less than that. Besides, trying to fit in means that you don’t dare to venture out of your comfort zone and do things that most people don’t want to do. You have to understand that successful people choose to do things that unsuccessful people don’t like to do. They choose to do things that people hate and find difficult. Take Muhammad Ali as an example. So ditch the thinking that you have to fit in and be like everybody. Choose your own path. Follow your heart. The journey may be lonely and difficult, but the destination will be beautiful. Well, life doesn’t have to be so negative. Just look at things from a brighter side. What if you do it and become successful? What if you start your blog, people like your posts, and you become an instant superstar? What if you reach your goals? What will you do? Instead of looking at things from the negative side, look at it from the positive side. My friend, there is really no “what if’s…”. You can’t predict to tell the future. Thus, if you have a dream, pursue it. If you have a goal, act on it. If there is something that you want, go for it. You will never know how things are going to turn out. Hence, just do it. Things can be difficult and you may face a lot of challenges along the journey, but that’s what makes it worthwhile. Trust me. 10. Give up on the thinking that you will do it “tomorrow”. Here’s another destructive mindset that you must give up: the “someday/tomorrow” thinking. People fail to make progress because they fall into the trap by thinking that there is always another time or there is always a tomorrow. If you need to write an article right now but your favorite drama is playing on TV, I’d say don’t procrastinate and write the article right now. Stop delaying your work to another time or tomorrow. The moment you decide to procrastinate and delay your work, you are telling yourself that it is alright to do so. And this will train you to become someone who procrastinates more often. When procrastination becomes your habit, your life will be affected. So my friend, choose to do it right now. Get rid of the thinking that you can always do it tomorrow or later. If you have to act, you have to act now. Because you choose to do what matters most. Watching TV can wait. Playing games can wait. Choose to do what matters most. Choose to act on your goals and do it right away. That is how successful people differentiate themselves from the rest. They choose to do what matters most. They choose to act on the goals that will give them a positive impact on their future. Rather than wasting time on social media, they spend time on their goals. Both actions give you impact on your life, one brings your life up, another brings it down. These are the 10 mindsets that you must choose to let go if you want to live a successful life. Remember, it all starts with what is inside your head. What you think, you become. Your thinking will shape your decision and action. And your decision and what you do will shape your life. Therefore, get rid of these 10 unhelpful mindsets, and equip yourself with the better ones. 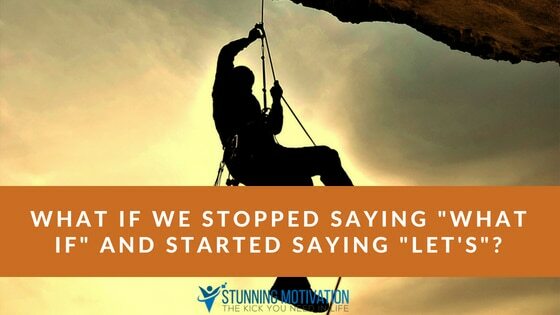 Which mindset is dragging you down and stopping you? Which one comes into your mind the most often? Share your opinion with me in the comment section below. Let me hear from you. Cheers.